Since the last 48 hours, Delhi and its adjoining areas such as Noida, Gurugram, Faridabad and Ghaziabad have been observing dry weather with mainly clear sky conditions. Cold winds from northwest direction are also persisting over the region. This weather is expected to prevail in Delhi-NCR for next three to four days. During this period the day temperatures will increase, while night temperatures will not see any major changes. 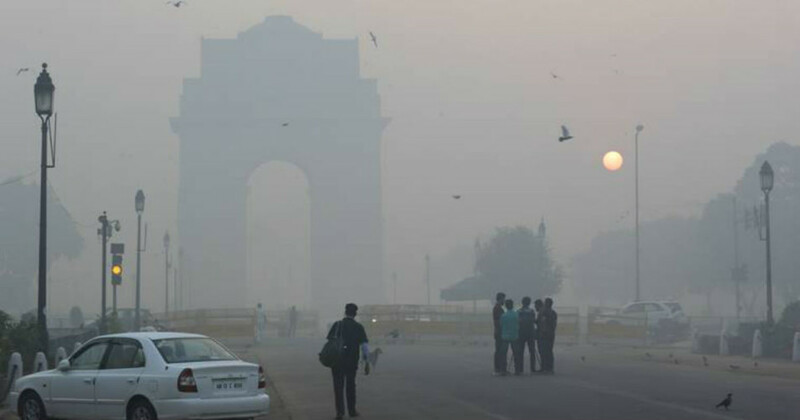 In the next 48 hours, maximum temperatures over Delhi-NCR will settle between 24˚C to 26˚C. The minimums will hover around 13˚C. Since the last two days moderate to dense fog is also being observed in parts of Delhi. But in the coming days, the intensity of fog will reduce, and only shallow fog/mist will be observed during the early morning hours. Due to local incursion of smoke, the pollution levels over Delhi-NCR have increased and currently the AQI over most parts of the region is under moderate category. Pollution levels are expected to increase further over few parts of the national capital region.